It's time for new tires and I'm looking for a more comfortable ride. I currently have 23s and I'd like to get something a little wider. The front fork will accommodate a 25 and the rear will take 28. Will a wider rear tire be more comfortable? or should I just get a pair of 25s? Any other issues in mis-matched widths I should be aware of? ... rims should take 28s. It'll be fine, you can probably convince yourself that it's a smoother ride, but you'll probably be fooling yourself. Do you think I'll notice the difference between 23 and 25s? if you run the 25s at lower pressure, yes you should notice. It hardly matters. The old racing rule of thumb: put your fastest tire in back. For speed/efficiency/winning races, that matters. For $$ savings - put your most delicate tire in front. For safety, put your most likely to fail tire in back. You will notice you cannot do more than two of these (usually). I rode 25c in front (well ridden Corsa) and a 28c in back (Nearly new Corsa G+, a sweet, sweet tire) yesterday. Crossed my mind maybe twice in 35 miles. Edit: Oh, yes, you do have to think about this pumping up. I usually run rears ~5 psi more but yesterday had a couple more psi in front. I have been running 28 rear and 25 front for a while. Works well, no noticeable drop in avg speed and quite comfy. The rear wheel bears more weight. I'm guessing that this would work fine, but try it. Getting the inflation right will be an interesting experiment. I run a 23s front and 25s rear on my Tommasinis as the Air Forks don't have room for 25s. 90psi front and 100psi back at my weight and the frames front to back weight distribution. While I can feel a difference when going from 23s to 28s on bikes, tire pressure and the brand/model of the tires absolutely make a noticeable difference. Sure, I've done it several times, no problems. It's a personal feel thing so you'll need to experiment with tire/tread combos. On my '89 Centurion Ironman with 622x14 rims, I tried 700x23 and 700x25 tires. The x25 tires were more comfortable, especially with my old neck injury, but felt squishy and squirrely on fast curves. I suspect the narrow rims didn't adequately support the x25 tire and the front felt splashy. I switched to 700x23 front (Schwalbe One V-Guard), 700x25 rear (Continental Ultra Sport 2), and was happy with that combo for a year. No problems in any conditions, including fast curves on less than smooth pavement. This year when the 700x25 rear tire had noticeable wear (mostly flat topped from lots of hours on the Cycleops trainer, rather than road wear), I switched the Ironman to new 700x23 front and rear. So far, so good, haven't decided whether to switch back to 700x25 for the rear. My old neck injury seems to be responding to physical therapy so I may not need the plusher rear tire, but I might go back to that combo anyway because my average speed and power are the same. No real advantage to the narrower, lighter rear tire. On my hybrids I've swapped around various tire combos, ranging from 700x25 to 700x42 front, with wider 700x32 to 700x45 rear. No problems. I'm not taking any sweeping curves at 40 mph on those bikes so I don't notice any handling issues. With those hybrid tires any difference in handling is usually more due to tread design than width. Last week I paired my favorite hybrid tire, the Continental Speed Ride (nominally 700x42, actually measures a bit narrower at 700x38) on the rear with a 700x32 Conti Sport Contact 2 up front. No problems. But I don't like the Sport Contact 2 tire very much -- it's grippy on wet roads but feels heavy and sluggish at lower pressure, harsh and unforgiving at higher pressure. Just don't care for that tire. The mismatched tires didn't make it any worse. If anything the wider, fatter Speed Ride on the back improved things. It's a lighter, plush, smoother rolling tire than the Sport Contact 2. This week I'm running 700x25 Conti Ultra Sport 2 on the hybrid, front and rear. Just a lark, probably won't keep the bike set up that way. I was just curious to try some lightweight, practical and cheap road tires on the hybrid. Felt great, although handling was a bit twitchy until I got accustomed to it. My hybrid has albatross bars and the balance is different from my drop bar road bike when I stand to pedal. Sure felt light and quick, especially on climbs or in stop and go urban riding. I'd go for 28s all-around but my rig won't accept more than a 25 on the rear. I really don't notice much difference between 23 and 25. I haven't been running 28mm tires. I do notice the difference between road 25mm tires and commuting/touring grade 35mm tires. I doubt you'd notice much difference between 25/28 on the rear. Much of the vibration issues you might have would be on the front. Although the larger rear tire might be more resilient against pinch flats. If you can't physically run 28mm on the front, then one advantage of running 25 on both the front and rear is in case you choose to rotate the tires for one reason or another. ...instead of, 36.1 which is a 52% increase in area. Correction-- whoops… area of a circle is actually the radius times pi - square, and not just pi, e.g., 11.5×(π^2)= 113.5 (although, going to a 35 still is >50% larger in area). Last edited by McBTC; 03-23-19 at 09:49 AM. Interestingly, going to a 28 just on the front will increase the trail a tad... which, tends to make the bike a 'lil less twitchy (e.g., more of a 'cruiser,' if that's an issue). And, it's easier on the hands. My experience is opposite of the others, put the widest or most supple tire on front, This is where you'll notice improved ride, handling, and comfort! YMMV, but if you have the room give it a try. I always put my less supple tire on back where it can wear longer, may have higher pressure, and comfort is less noticeable. 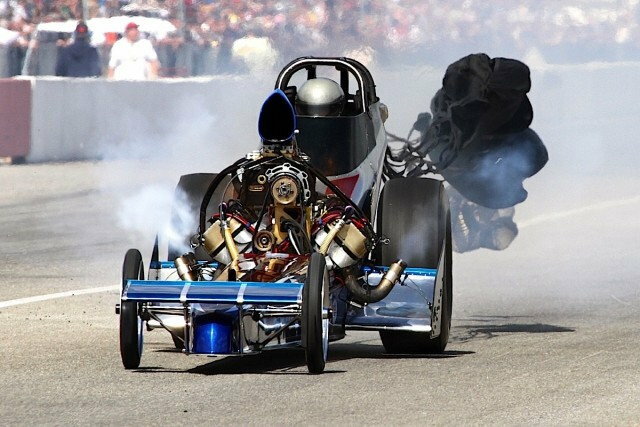 Dragster analogy doe not apply to bicycles, unless you can push 500 HP!